Mattoni reinterprets classic Roman brick with a modern spin. 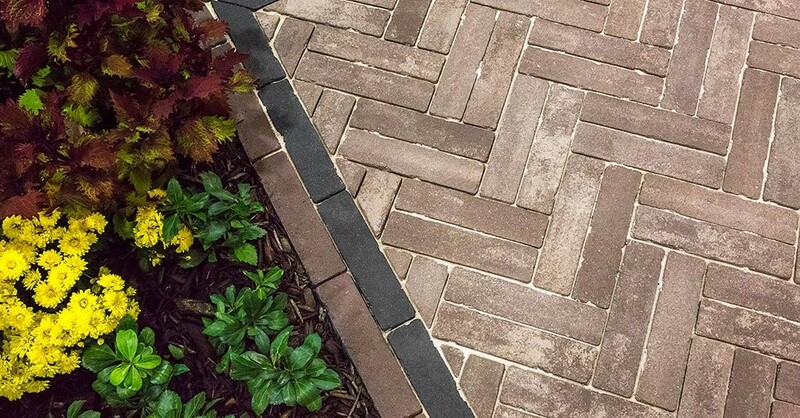 Available in a palette of deep, natural colors, the slim format is ideal for curved garden paths, authentic country gardens and classic herringbone patterns. PRODUCT TECHNOLOGY: EnduraColor Facemix Technology: EnduraColor products are manufactured in a two-step process which combines a base of coarser aggregates for a stronger foundation, with concentrated color and wear-resistant finer aggregates on top. EnduraColor products are highly resistant to fading because the top layer prevents large, lighter color aggregates from showing through. Standard 2 1/4" x 9 1/2" x 2 3/4"
A urethane rubber paver mat must be used to prevent scuffing.